Worship is a measn of grace. John Wesley wrote a good deal about what he called “the ordinary channels” by which God’s grace touches out lives. He believed and taught that God had ordained certain means by which humans could wade into the streams of his grace. He did not believe grace was unavailable to use in day-t0-day life, but he did teach that these means were clearly set up by God the way a plumber runs pipes through your house. You can set out blankets on the hedges in hopes of collecting enough dew to drink, but there’s a faucet right in the kitchen waiting for you to turn it on. 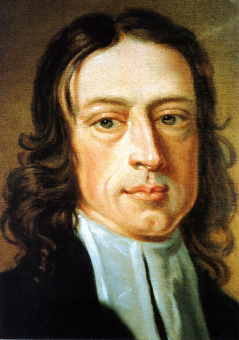 In the General Rules of the United Societies Wesley specfically mentions worship as means of grace. In his sermon “The Means of Grace” he preaches about prayer, Scripture reading, and Holy Communion, three activities that are central to worship. It follows then – if we follow John Wesley – that authentic Christian worship is worship that connects us to fountain of grace that God has established. Worship brings us into the presence of God’s grace. Grace ruptures our dull routines and disrupts our slumbering souls. It orients us away from the world and toward God. It assures us of God’s love and fills us with the joy of the Holy Spirit. It gives us the power to love God more fully and love our neighbors as ourselves. Every worship service may not do each of these things. But when we come to worship open to grace and expecting to encounter God, we should find more than a way to let an hour of the week slip by. We should find a river of grace waiting there for us – a cool and refreshing flow in the wilderness and deserts of our day-to-day lives. Thanks for this post. I have a column coming out in the UM Reporter next week that focuses on this very issue. In addition to the General Rules and Wesley’s sermon, “The Means of Grace,” another good place to go is the Large Minutes, which has a great three-page section on the means of grace. The thing that strikes me is how some of the means that Wesley understood to be most formative and transformative were all central aspects of worship – the Lord’s Supper, prayer, searching the Scriptures, etc. And the experience of worship itself is also about the holy patterning of time, which Wesley also believed was a crucially important way to allow oneself to be conformed to Jesus Christ. My idea for the column came out of work I did earlier this month with the Duke Youth Academy, where the whole Christian life is seen as the vocational living out of the calling we receive in baptism. At DYA, we help high school kids start to see their lives as shaped by what they do in worship, which is an experience both liberating and invigorating. I’ve been following your DYA stuff, Andrew. It looks fantastic. I’m happy to be on the same wavelength about worship. I’ll look forward to your column.